Blemishes are dark patches or marks left behind on your skin after an acne breakout. Extensive use of cosmetics (which contain irritating ingredients) can also contribute to the development of blemishes. Even thought this is a very common skin ailment, you can cure this naturally at home by making your own face mask for blemishes. 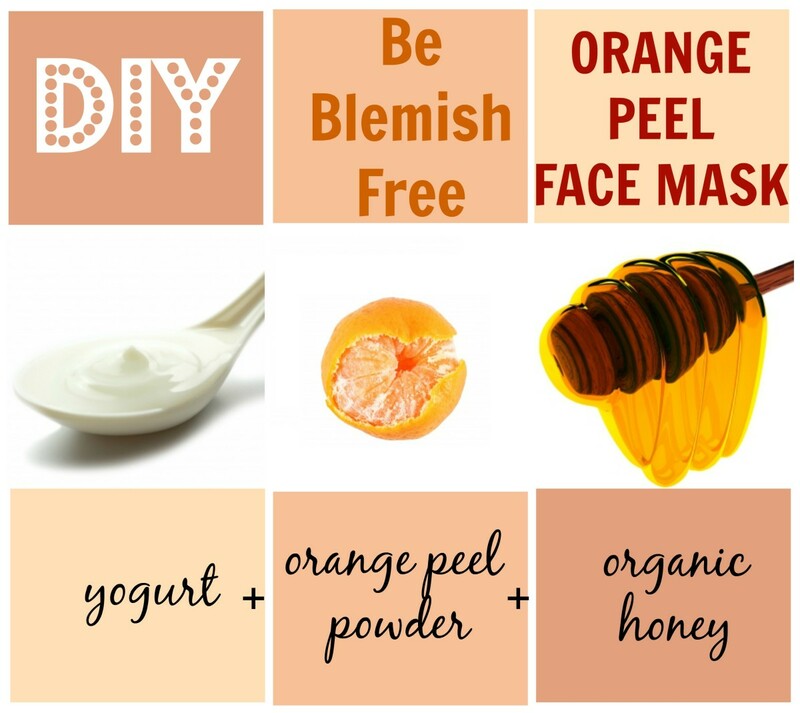 Following are some recipes you can use to create your homemade face mask for blemishes. To prepare this mask, you will need to mix thoroughly together 8 to 10 almonds grinded, 1 teaspoon each of lemon juice and raw organic honey (preferably manuka honey). After you do so, you can apply this mixture to your face and just leave it there for up to 15 minutes before rinsing it off with lukewarm water and then cool water. This will help to heal dark spots and blemishes. To prepare this mask, you mix together 1 teaspoon of apple cider vinegar with 3 to 5 mashed strawberries. Then you apply this mixture on the blemished area and let it stay there for up to 15 minutes before rinsing it off with lukewarm water and then cool water. Regular application of this therapy can help you to clear facial blemishes. To prepare this mask, you will need 1 cup of carrot pureed, 1 egg white and 1 teaspoon of raw organic honey (preferably manuka honey). Besides using carrot, you also either use papaya or pumpkin which is up to your preference. You combine all the ingredients together and use a fork to stir to ensure that they mix thoroughly. After this, you can now apply this mixture to your face and leave it on for up to 15 minutes. You rinse with lukewarm water and then cool water. To prepare this mask, you will need to mix together half a cup of cucumber juice with 1 tablespoon of sugar. You use a spoon or fork to stir until they mix well thoroughly. You can apply this mixture on your face and neck area and leave it there for up to 15 minutes. After his, you rinse off with lukewarm water and then cool water to close pores. You do this as often as you can and your skin will clear up and glow. To prepare this mask, you will need to combine 1 tablespoon of raw organic honey (preferably manuka honey), 1 teaspoon of glycerine and 3 tablespoons of flour together in a bowl. You whisk the ingredients together until they form a smooth paste which you can now apply it to your face. You allow it to sit for about 15 minutes before rinsing with lukewarm water and then with cool water. Honey contains anti-microbial properties to help clear up minor blemishes without drying your skin. To prepare this mask, you will need an egg yolk, 1 tablespoon each of raw organic honey (or manuka honey) and extra virgin olive oil and half a cup of oatmeal. Combine all the ingredients. You use a fork to stir the ingredients until they mix thoroughly. Now you can apply the mixture on your face and leave it for 15 minutes before rinsing off with lukewarm water follow by cool water so as to close the skin pores. The egg yolk and honey will soak up the excess oil, leaving your skin clean and blemish free. To prepare this mask, you will need to mix together 1 tablespoon each of lemon juice, pineapple juice and raw organic honey (preferably manuka honey). You can now apply this mixture on the blemished area. This mask will help to brighten your skin and fade blemishes. You may combine lemon juice with tomato juice or potato juice which also works to treat blemishes. To prepare this mask, you will need 5 to 6 strawberries mashed and 1 teaspoon of heavy cream. You mix both of these ingredients together until a consistent paste is formed. You can apply this mixture on your face and neck and leave on for up to 15 minutes before rinsing it off. To prepare this mask, you will need 1 ripe tomato mashed, 1 teaspoon lemon juice and 1 tablespoon instant or old fashioned rolled oats. You may add a little more oatmeal if you fill that the mask is not thick enough. You blend everything until they mix thoroughly. Now you can apply the mixture on your face and let it stay on your skin for up to 15 minutes before you rinse it off. Regular use of this mask will fade your blemishes. To prepare this mask, you will need to mix together thoroughly 1 tablespoon each of gram flour (chick pea flour) and plain yogurt (preferably Greek yogurt) to form a paste which you can apply to your face. You let it stay there for up to 15 minutes before you rinse off with lukewarm water and then cool water. This mask is effective and safe to use as it does not cause any reactions.